Retails for $8.99US and $11.99CAN at Shoppers Drug Marts. 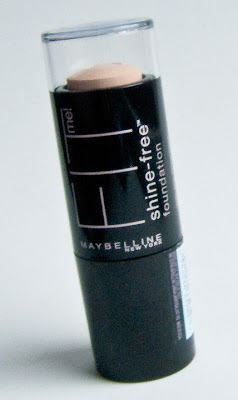 The drug store for brands is lacking in stick/cream foundation so why not try this one out! Is a Semi-matte buildable coverage cream foundation. It's almost concealer like but still lighter in texture. 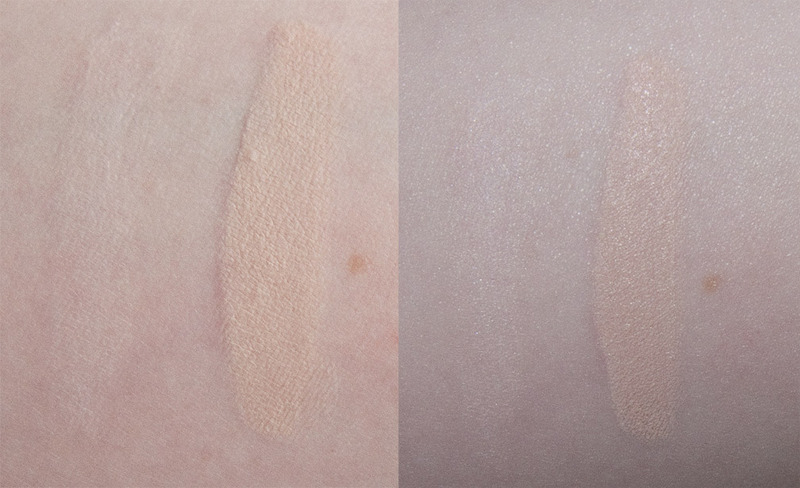 The centre of this stick has a translucent powder that is lighter then the foundation shade on all of them. 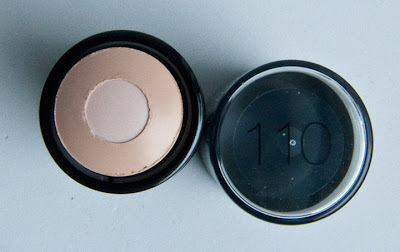 All the 12 current shade has a matching lighter centre shade to the foundation outer ring. The product when blend into the skin still fell like a cream foundation and for me I feel the need to set it with a powder. It is however very much an anti shine formula which is nice to see that clam at work. For those with oily skin you might still want to stay clear of this one because it is a cream foundation rather then a long wear waxed based cream foundation and I can see you have problems will oils breaking down the foundation over the day. 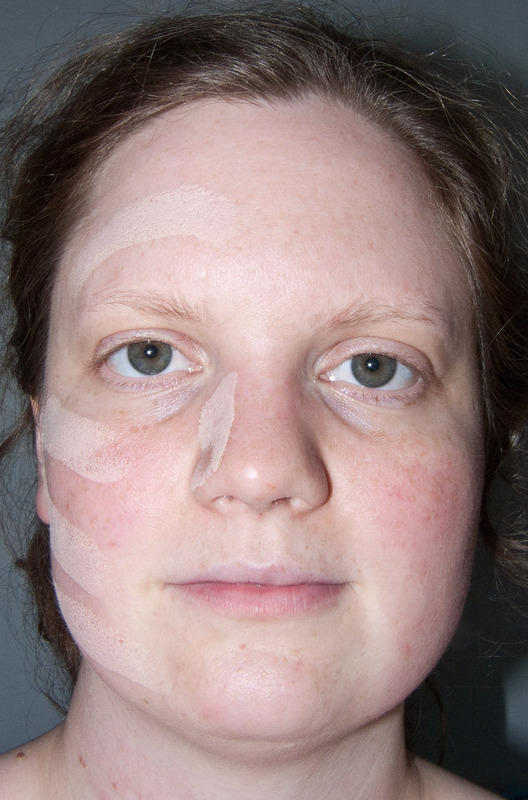 The coverage is sheer to build up to medium. 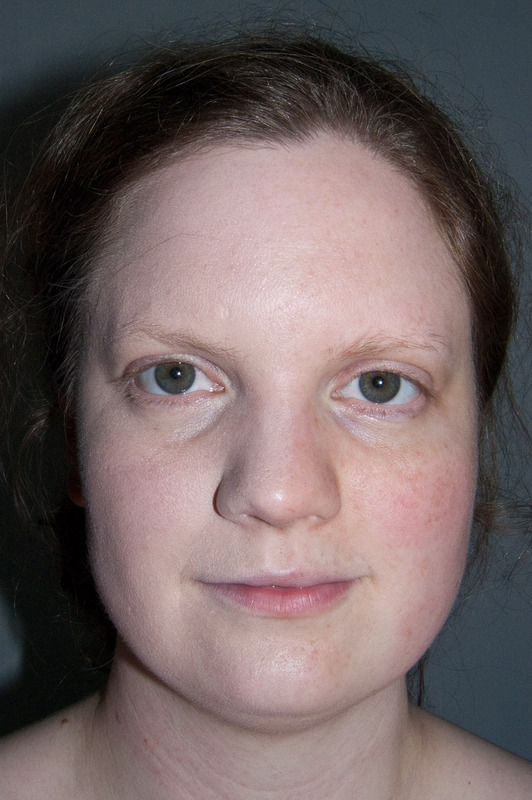 It was able to cover some of my redness but my larger freckles are still noticeable. 110 Porcelain Is a cool tone fair pink/neutral shade. The centre powder has a sheer pink tint to it. Wear: I got 8 hours wear before I noticed fading without a primer or powder. Packaging: A simple twist up stick packaging from the base. Not bad as all. The shade range is current fair to medium deep so far for the product so it don't have the same range as say the Fit Me foundations but colour wise they are matching their colour system. The shade 110 is still a little too pink on my olive skin tone but out of a number of fair foundation I've tried this is the lightest match for me.